Gilead Sciences presented promising data on its research into advanced fibrosis caused by non-alcoholic steatohepatitis (NASH), one of several big pharma companies developing drugs for the currently untreatable disease. Drugs approved in this indication could bring in billions in annual sales, and at The Liver Meeting in San Francisco, Gilead shared data from its phase 2 trial of an investigational compound, a non-steroidal farnesoid X receptor (FXR) agonist, GS-9674. Patients were either treated with 100mg or 30mg of GS-9674 or a placebo once a day for 24 weeks. A decline of at least 30% in hepatic fat was observed in 38.9% of people treated with the higher dose of the drug, compared with 12.5% in the placebo cohort. Also, Gilead reported improvements in liver biochemistry tests of patients treated with GS-9674. NASH, which is associated with a sedentary lifestyle, diabetes and obesity, currently has no approved treatment and is expected to become the leading cause of liver transplants within the next decade. Gilead said it will continue developing the drug, even though rivals are edging closer to market. In October, pharmaphorum reported that Pfizer and Novartis were collaborating to bring together their NASH therapies in a bid to find a cure in this lucrative market. New York-based Intercept Pharmaceuticals is also developing a treatment for NASH, Ocaliva (obeticholic acid). The results of its phase 3 trial will be available next year. 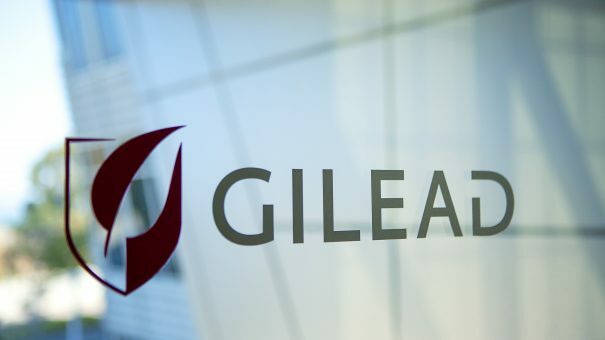 Gilead separately announced baseline data from its phase 3 Stellar trials of selonsertib, which suggest that current non-invasive tests can accurately identify individuals with advanced fibrosis (F3-F4) caused by NASH, potentially reducing the need for liver biopsy. The use of the Fibrosis-4 (FIB-4) index, Enhanced Liver Fibrosis (ELF) test and liver stiffness measurement by FibroScan were deemed to have good sensitivity and specificity when it came to detecting advanced fibrosis due to NASH, when compared to a biopsy. Gilead also announced positive results for its phase 2 trial for GS-9674 as a treatment for Primary Sclerosing Cholangitis (PSC), which causes the network of ducts that drain bile from the liver to progressively become inflamed and scarred. The medicine led to significant improvements in liver biochemistry and markers of cholestasis.